Vitamin E is know for its antioxidants benefits. It helps to keep skin looking younger and protects your skin from harmful radicals. 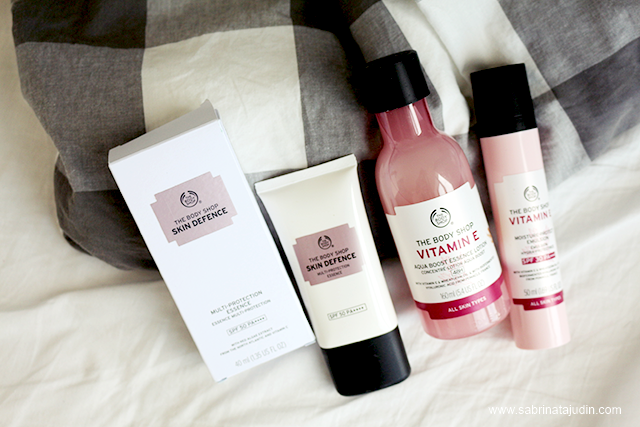 The Body Shop has a full Vitamin E range skincare that you can check out. Here I have tried a few and another product is a Multi-Protection Essence that I have paired with the other skincare in this post. Sunblock can be very heavy on the skin. Lots of brands has come out with a light textured sun protection product to help users use them without feeling sticky or uncomfortable. 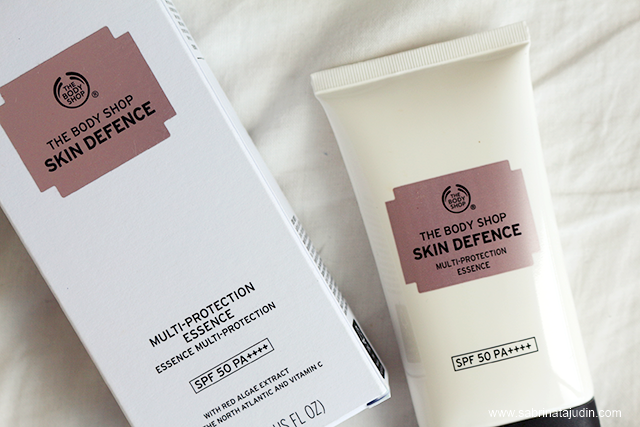 Here is the Skin Defence Multi-Protection Essence with SPF 50 PA++++ from The body Shop. A lightweight essence with sun protection. At the same time is has properties such as Anti-oxidant & Anti-dullness. What I like about it is that it contains Vitamin C that helps to brighten skin too. The Vitamin E range that I have talked about is this Aqua Boost Essence. A concentrated lotion that said to hydrate your skin up to 48 hours. Use this after toner and then I use the Moisture Protect Emulsion that also has sun protection (30 SPF PA +++). Both are powered Biofermented Hyaluronic Acid. These are great to be use during day time and great for any skin types. Wow, Anti-Dullness sounds great - could be the one I'm looking for as I'm very picky about sunblock. 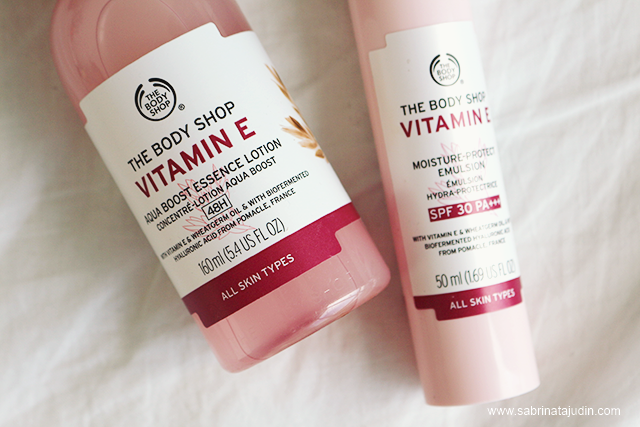 I've used the Body Shop Vit E eye cream a decade ago, it was quite good, actually. Now I love the Body Shop scents.